What a whirlwind it’s been. It was my full intention to do a daily blog but there has been barely enough time to eat and sleep. It’s the penultimate day of competition and only now do I get an hour or two to catch up. The Games have consumed the Island. The highways and byways are full of visiting competitors, officials and Games Makers, the latter including me. The sports venues are buzzing from morning often until late in the evening. My role is attaché to the Falkland Islands who have brought a party of about 70 competitors, family and supporters. They are a terrific, friendly bunch of guys and girls. The Falklands footballers have done their homeland proud. With only a 3,000 population they are no match for the bigger boys. But their personal cup final came on Day 1 against fellow minnows Hitra and they came back from 0-1 for a battling 2-1 victory. There followed 0-3 and 0-5 defeats against Isle of Wight and Shetland but, on both occasions, got the locals firmly on their side with not only their spirit but in the way they played with a smile on their faces. A nice change from the cynicism we see too often. On a warm Day 1 morning Tim Drew the Falklands representative finished in 8th place in the Half-Marathon. He runs again tomorrow (Fri) in the 10,000 metres. The two girls came 19th and 23rd. 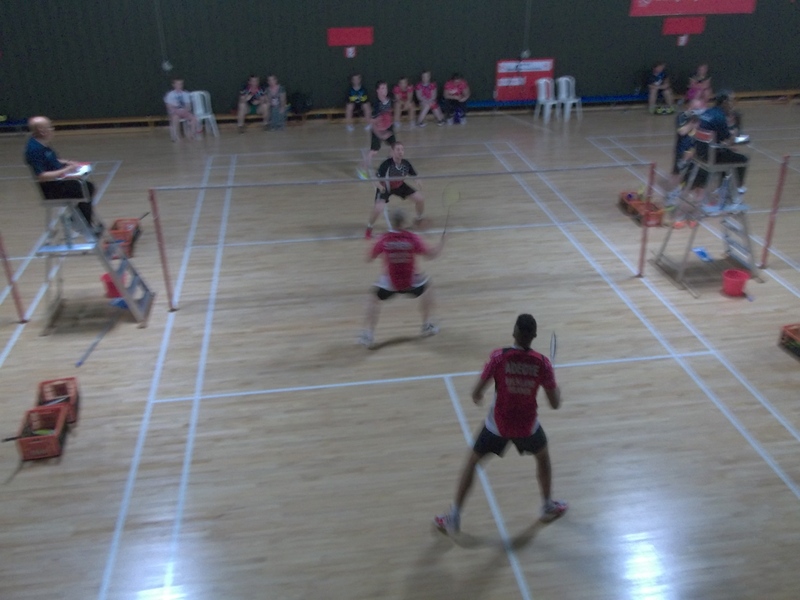 The badminton squad arrived fresh from a training camp in the Netherlands – it is difficult for them with no opposition outside their homeland to help raise standards. Victories are proving elusive but they have battled away and have thoroughly enjoyed the raucous atmosphere up at the New Gilson Hall where all five courts have been in simultaneous use. 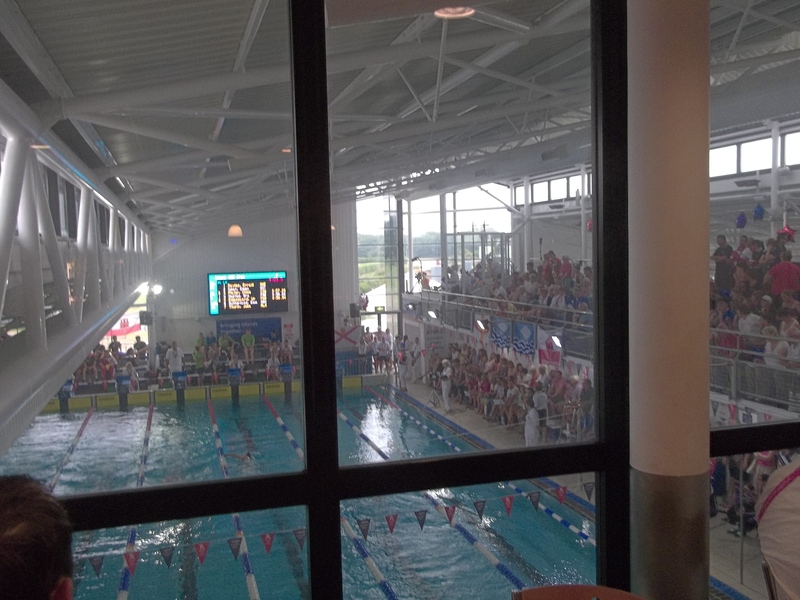 The swimmers at Les Quennevais may not have threatened the podium but there have been a handful of PBs and national records. You cannot ask more of an athlete than doing just that. Without a ticket to the pool! Medal success! It’s a different world at the various shooting ranges and it all remains a mystery to me. However they are packed all day with different events, disciplines, distances and the Falklands picked up a very rare medal – a silver – in something called the Police Pistol 1 team event. A proud moment. And again! This time in the archery. 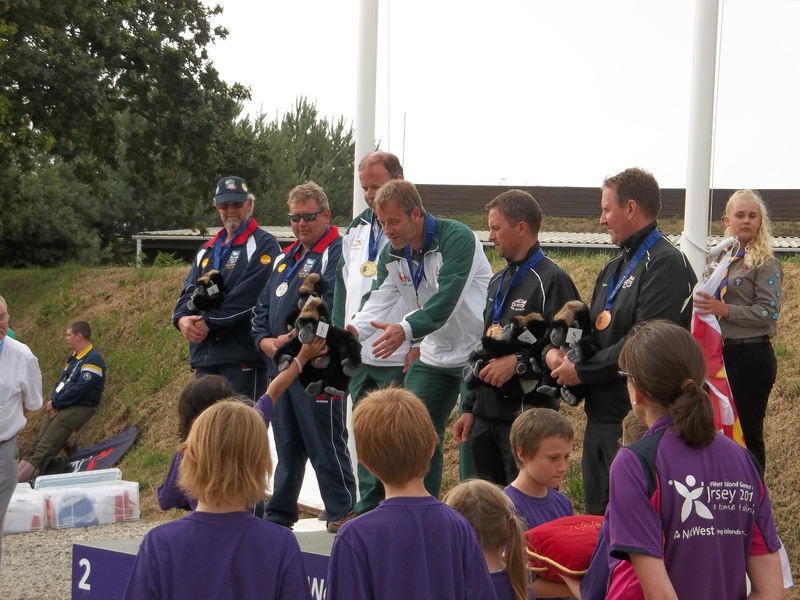 And it was so nearly gold as Mark Lewis was just edged into second place by the Jersey man in the recurve head-to-head. 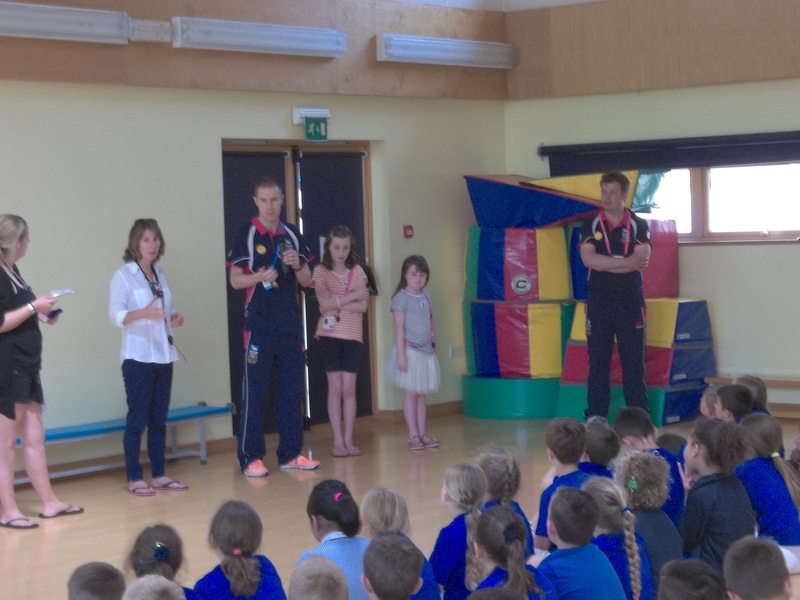 Away from the competition we worked on international relations with a visit to St Clement’s School yesterday (Wed). Each of Jersey’s primary schools have been twinned with a visiting island and it was lovely for a couple of the Falklands party to go along and meet all the children, answer questions etc. Elsewhere I’m happy to report that the Jersey public have embraced the Games. 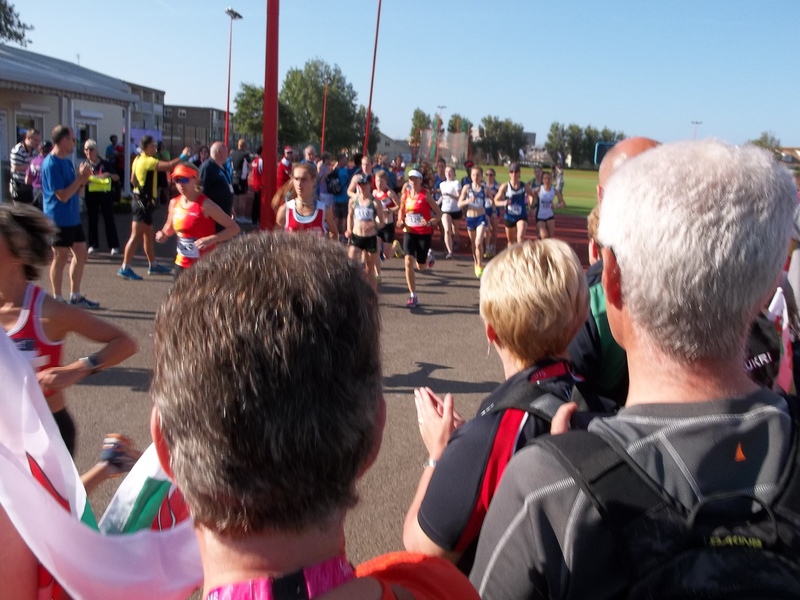 There have been large crowds at many of the events, especially when Jersey have been involved. At the athletics last night there was the biggest crowd I’ve seen maybe since the track was opened in the 1980s. Jersey are dominating the medals table but no one is taking too much notice as it signifies little. Of course it matters hugely to the athletes involved but the medal haul itself is meaningless other than as a measure of available resource. So, deep breath and back into the fray. A first visit to the golf this afternoon, nip up to catch the archery medal ceremony then off to watch the Falklands football lads battle the Western Isles in the 11th/12th place play-off. The official Games website is here with all the results here. What a joyous opening ceremony Roy. And what a wonderful thing to be involved in. I’m sure you’ll deserve a rest when it’s all over but you’ll be surely buzzing for weeks! Whoosh, finished Jean. What a roller coaster it’s been. Hope you’re having a well-earned break. The Channel Islands certainly riding high sports-wise these times. Great performance from Heather Watson. Sunday 4.15, get the last few away on the Red Eye then I get a break Jean 🙂 Yes, the Watson girl done well. It looks like you are enjoying the experience! Well done Jersey! Hi Cybele, it’s been immense and something we’ll all remember for a long time. Enjoy the moments Roy and its good to see and support your own teams too. Its a great way to meet people and bond with other cultures. An amazing experience for you all. It’s been great meeting the visitors from all over Kath. Also you find yourself chatting to complete strangers quite naturally while something like this is going on. Hopefully there will be a beneficial and lasting effect on the Island. Sounds like a great experience Roy, I’m glad it all went so well and brought so much excitement to the island.